If you have a child just learning to write, you have been given this admonition by her teacher: Don't correct the spelling! It's part of a new understanding of how language is acquired and how children learn to read and write. You may be perplexed by some of the remarkable ways in which your child and her classmates spell, but that's the point. What Is Inventive or Invented Spelling? Inventive spelling refers to the practice of children using incorrect and unusual spellings for words. It is also sometimes called "invented spelling." Typically, inventive spelling is used by students who are just learning to put sounds together to make words. The written form of an inventively-spelled word often will contain the letters of the sounds a child hears when he says a word. In fact, you may hear teachers say to a child who asks how to spell a word, "Write the sounds you hear." Many teachers allow students to use inventive spelling as a way to express their thoughts without having to worry about form or format. The thought is that students will begin using the correct spelling for words once they've built up a better core word vocabulary and have a stronger sense of letter-sound correspondence. First and foremost, inventive spelling takes some of the stress out of writing. 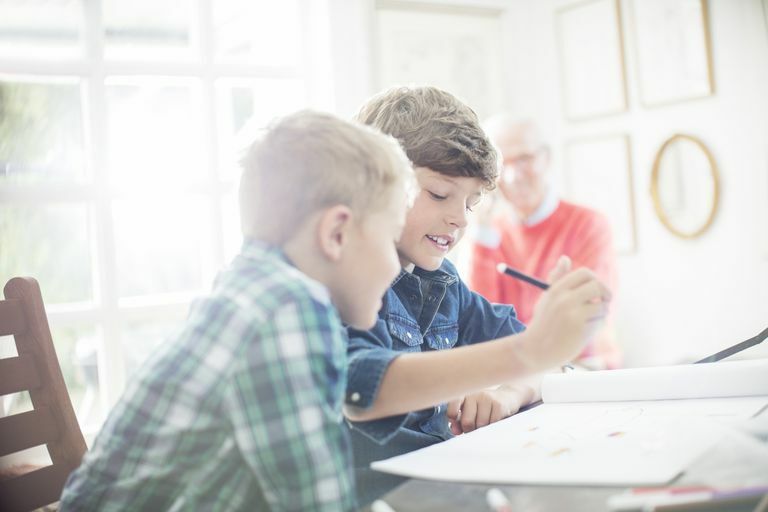 For children just learning to express themselves on paper, the many processes—organizing thoughts, word choice, grammar, and the motor skills necessary to actually put the marks on paper—can be overwhelming. Removing spelling from the equation gives them one less thing to worry about. Second, inventive spelling as a teaching approach is much more in sync with the way the brain actually learns. Rather than memorizing spelling by rote, children are encouraged to problem-solve around spelling. They use what they know about the sounds that letters make to capture on paper the sounds they hear. As children are exposed to more standard spelling through reading, they begin to establish patterns and see spelling rules—for example, they may realize that adding an "s" makes a word plural, or that adding an "e" will change the sound of a vowel. They acquire familiarity with common irregularly spelled words such as "was" and "of." When Is Inventive Spelling Appropriate? Different children learn at different rates. Inventive spelling is a great help to early readers and writers, and, as their teacher says, it is important to resist the urge to correct their spelling. It is generally appropriate for children's spelling to be predominantly phonetic in kindergarten and early first grade. With a robust academic program, children should be exposed to standard spelling through "Word Walls," story time and other visual cues in the classroom. The transitional stage where phonetic spelling is complemented by the standard spelling of irregular words may last from the first to third grade. Rest assured that inventive spelling will not make a child a bad speller. Children who consistently underperform in spelling or remain stuck in a stage of spelling that their classmates have passed by are usually students who are not exposed to standard spelling through reading and writing at home. How Is the 100th Day of School Celebrated?